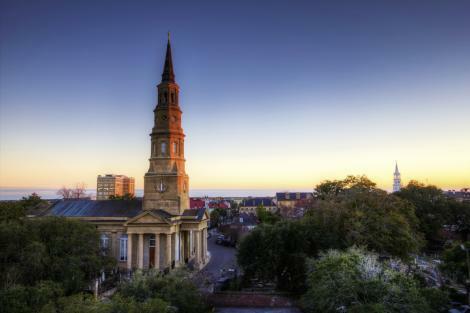 National accolades and “Best-of” designations have stacked up for Charleston in recent years, but we’ve known all along that ours is the best city in the world. AUTHENTICITY: We’re no theme-park city. Three centuries worth of architecture in the form of churches (such as St. Philip’s above), homes, and commercial buildings mix and mingle on the peninsula to create a distinctive backdrop that’s as real—and lived in—as it gets. 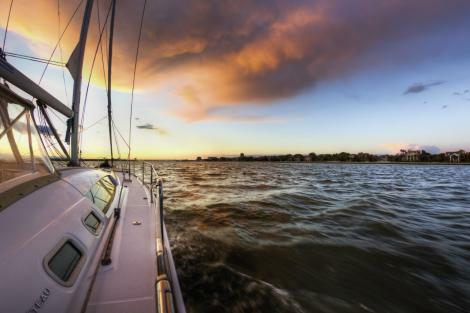 ADVENTURE: Sail, surf, paddle, dive, fish, cruise—a vacation for some, the Atlantic and the rivers, creeks, and flats are our backyard, our “lazy” weekend. Have you explored them all? We dare you. 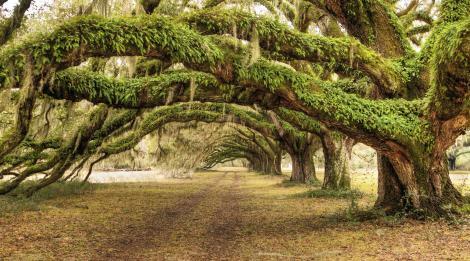 NATURAL BEAUTY: Call it the yin and the yang: As lively as our city center is, we can escape down quiet country roads and marvel at towering oaks in less time than it takes folks in other urban settings to commute to work. 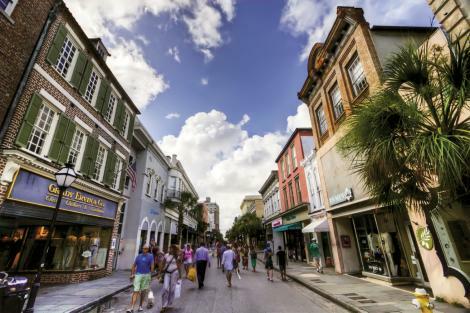 COMMUNITY: Charleston’s a friendly town—so much so that we like to say it has one-and-a-half degrees of separation. Whether you’re strolling King Street on Second Sunday (pictured here), hanging out in Marion Square, or doing your grocery shopping, strangers offer up a smile, and you’ll likely know more than a few faces. 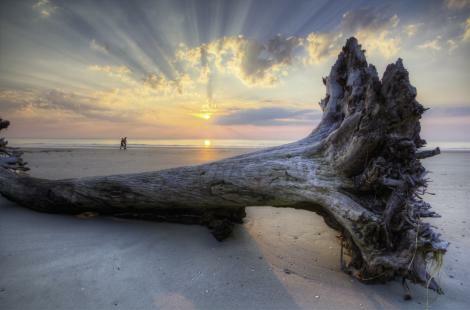 SOLITUDE: As our city’s star rises, our barrier islands—Bulls, Capers, Botany Bay, and Hunting (pictured here) to name a few—remain lower-profile havens, many of them undeveloped and protected, just the way we like them. TRADITION: Preservation has proved integral to the Holy City’s very soul, so even as our population evolves, our heritage and history still define the land, the waters, and our way of life. 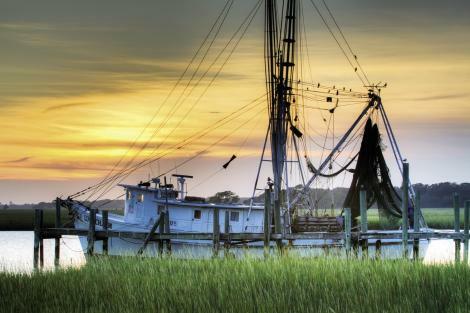 Can you imagine Folly River or Shem Creek without shrimp boats? Neither can we. ENERGY: It’s one thing to live in a city brimming with history, and quite another to be part of history in the making. 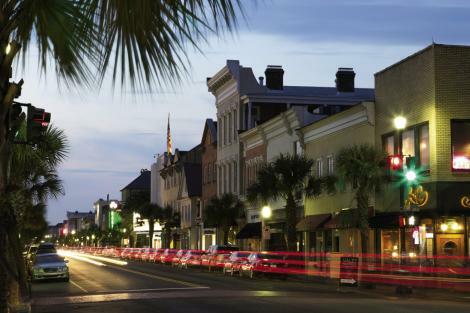 Just as homegrown chefs give us plenty of well-earned foodie cred and the arts scene expands, our bustling bars, shops, and restaurants carved out of historic buildings keep Charleston buzzing with activity—day into night. 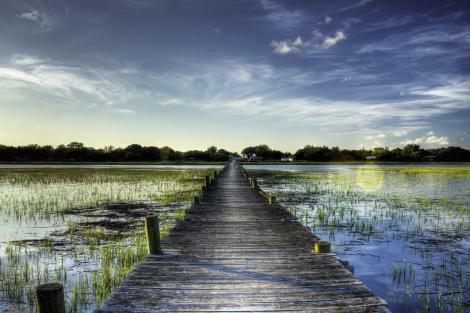 STEADFASTNESS: The scent of pluff mud signals we’re home, as do the steadfast cycles of the Lowcountry seasons—from steamy summers to the early hint of fall and the ever-present pulse of the tides (like the flood tide shown here at Sol Legare Dock off James Island).